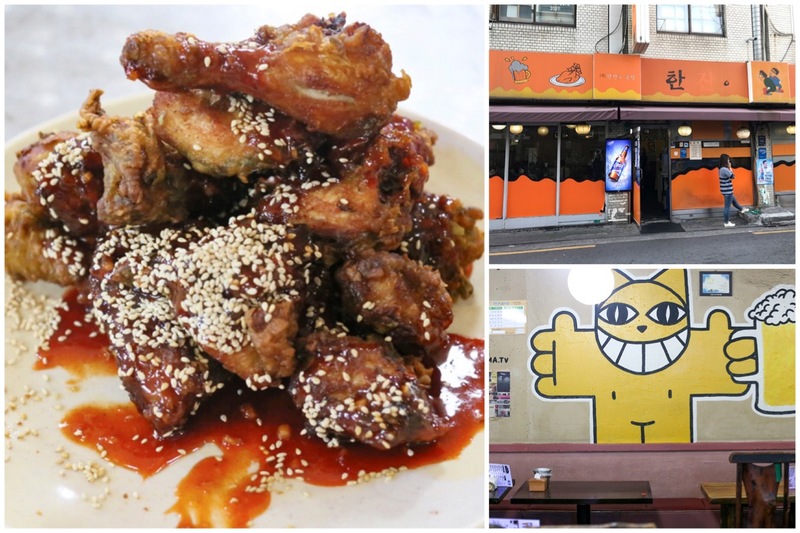 [Seoul] When we talk about popular Korean Fried Chicken restaurants in Seoul, Kyochon Chicken and Kkanbu Chicken can be considered the frontrunners. 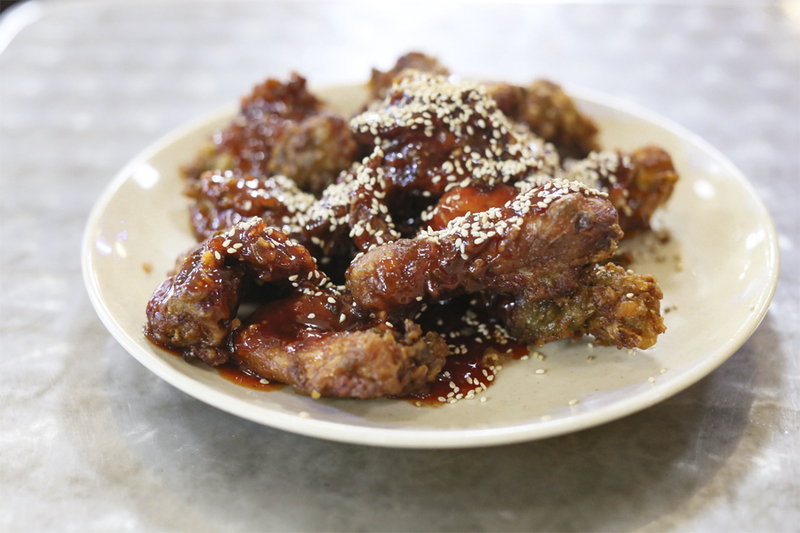 I was also recommended to Hanchu Chicken 한추 by a few foodie friends as one of the best fried chimaek spots. This food joint is not a franchise, so you can only get to try their delicious chicken at one place. 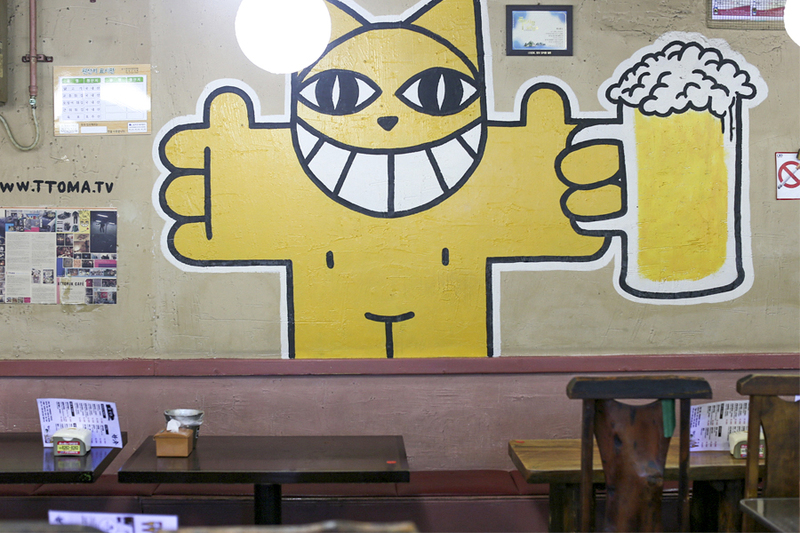 It is located right between the Apgujeong Station and Sinsa Station at Garosu-gil. Hanchu Chicken has been around for over 20 years, and they can probably stick around for at least for another 20. 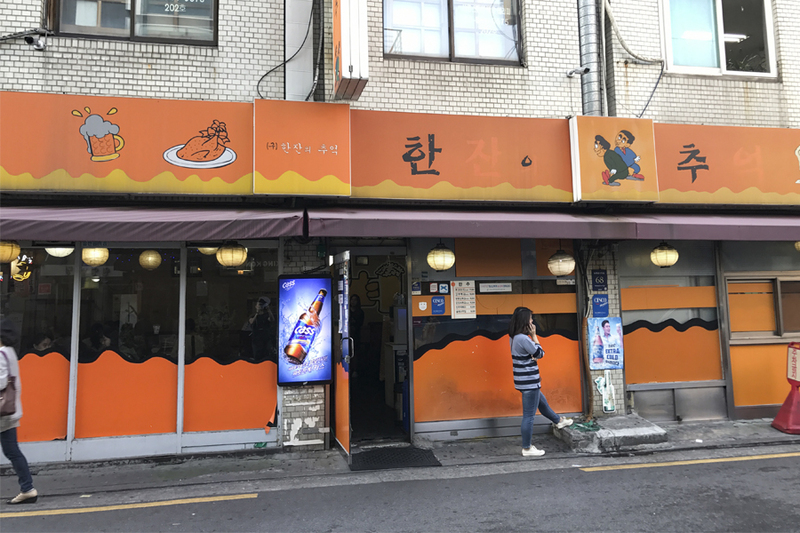 Honestly, it is not that easy to be one of the most popular dining establishments in a trend-setting area such as Garosugil. 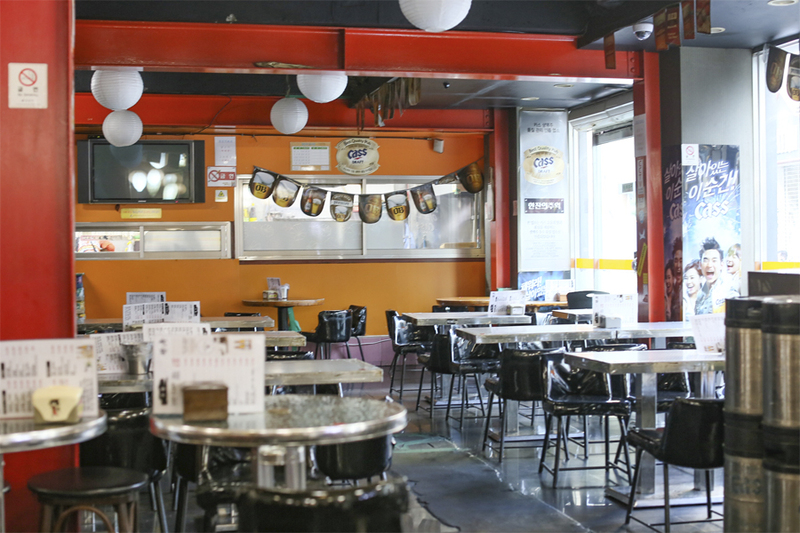 This is more of a spot where you come after work to have a beer with friends and try their mouth-watering fried food. 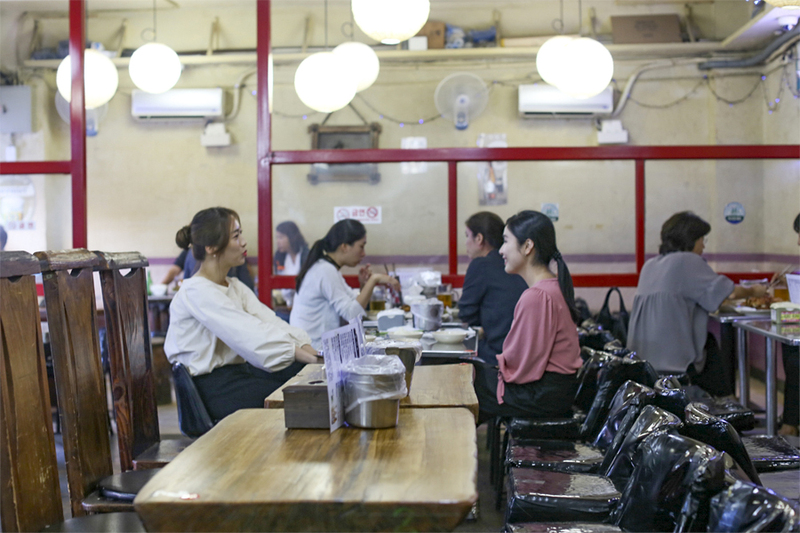 The interior of Hanchu Chicken looked quite simple like a family-run business, with dozens of wooden tables and chairs. 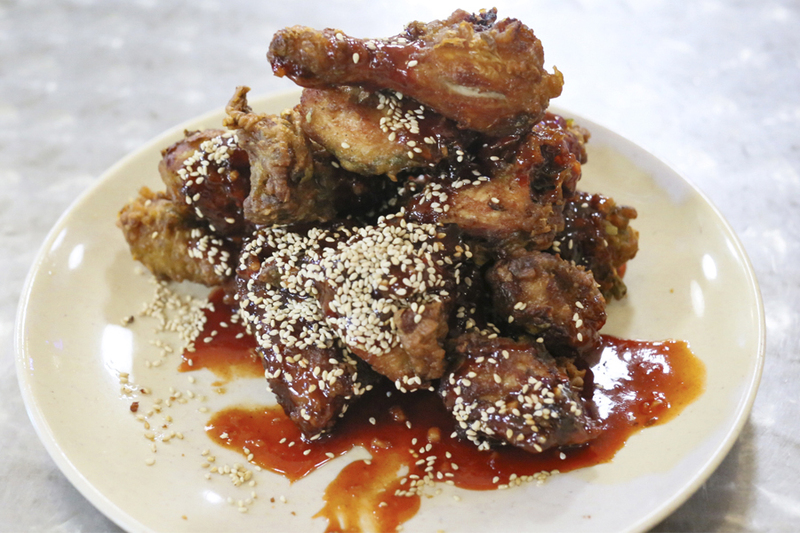 The main item on the menu at Hanchu is Fried Chicken (17,000Won, SGD$20.60) and Seasoned Chicken (19,000Won, SGD$23.05). 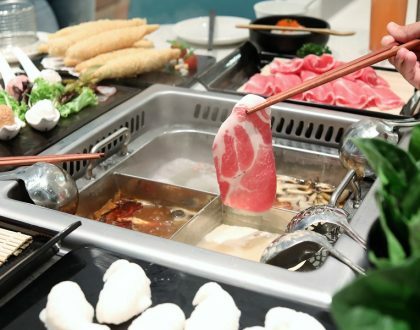 The restaurant also serves a section of items such as Deep Fried Chilli Pepper (15,000Won, SGD$18.20), Deep Fried Chicken Gizzard (15,000Won) Deep Fried Squid (15,000Won), Stir-Fried Rice Cake (15,000Won), Rolled Omelette (15,000Won) and an intriguing sounding Spicy Sea Snails Salad with Noodles (18,000Won, SGD$21.80). 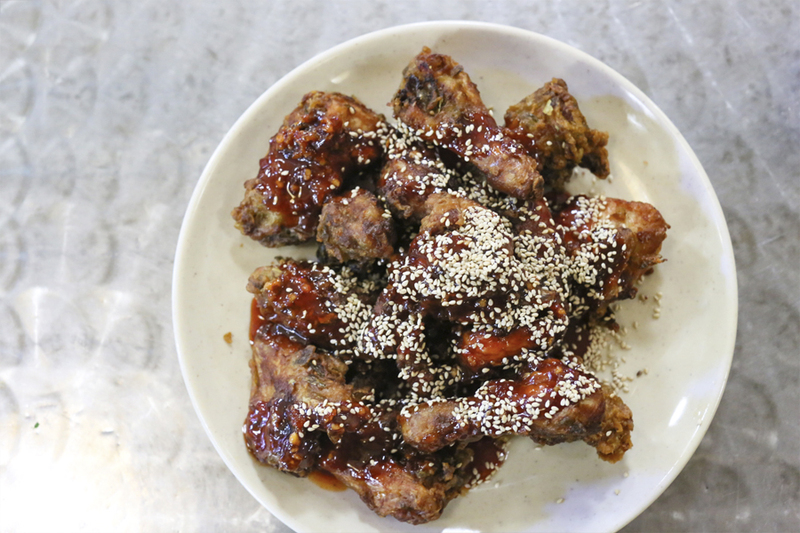 For those who come from other parts of the world, take note that most Korean family restaurants serve their chicken as a whole, rather than the typical fast-food style of two or three pieces set. It also serves up complimentary crackers and pickled radish. The one thing I didn’t fancy was that ordering an additional drink was compulsory here. 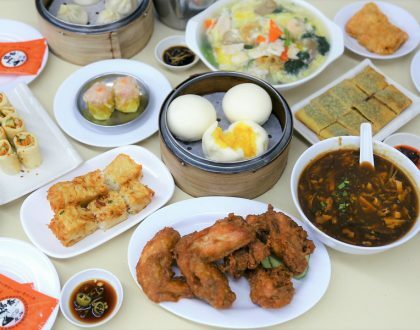 Therefore, you have to include the cost of say at least 4,000 to 5,000Won extra to the meal. I ordered the Seasoned Chicken (19,000Won, SGD$23.05) of double fried pieces, which resulted in a crispy and juicy combination. The only thing I didn’t like was that some parts were rather bony and dry. The sweet and noticeably spicy soy sauce with pepper included in the batter provided some kick and sweat, which was also rather addictive. However, I won’t say this would be my favourite chimaek place in Seoul, but can possibly drop by if you are in the vicinity. I noticed two rather skinny office ladies chomping down a plate of chicken each – I could imagine they were concerned about losing weight like the rest of the country. But with a plate of fried chicken like this right in front, who could resist?